Chain link fence (also known as chainlink fence ) is one of the most common styles of fencing for both residential and commercial applications. It comes in a variety of sizes, strengths, and finishes, each which should be selected based on the purpose of the fence. You may even discover some options you hadn’t considered before. 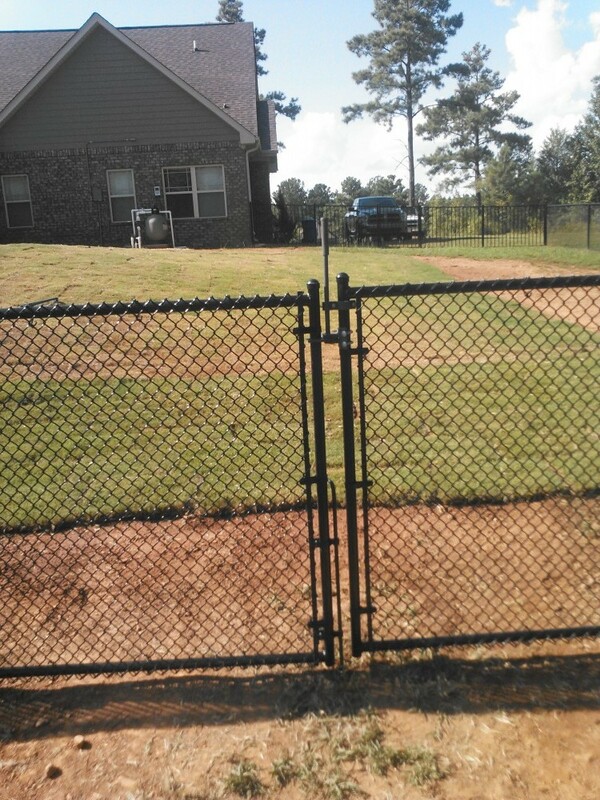 The article presents some issues that should be taken into account when you choose a chain lnk fence. When choosing a fencing system, always check local zoning regulations and know where your property line is. Also check for underground utilities. Before you begin any excavation you need to call and check for underground utilities. Wood Panel Fencing is commonly used as a decorative means of providing privacy for homes in neighborhood settings. It’s also a good choice for setting boundaries for small children and pets. You can easily match the fence to your landscape with stain or paint. If a wood fence doesn’t fit your needs, or taste, you certainly have other choices. From ornamental steel and composite wood products to PVC systems, chain-link and more, there’s sure to be a design and material choice to suit your home. Chain-link fencing is enduring, affordable and adds a practical investment to your home. Chain link or hurricane fencing is an economical way to enclose an area. Chain link fencing comes in rolls from 25′ to 100′ long and 4′ to 6′ high, with prefabricated gates up to 5′ wide. If you don’t like the silvery look of the bare fence, it’s available with a weather resistant vinyl coating, usually green or brown. Chain link is a good choice for keeping pets in or other creatures out. Choosing a chain link fence isn’t as easy as it used to be. This traditional, all galvanized steel product now comes in a multitude of colors and weights to meet the needs of any commercial, industrial or residential setting. Vinyl coating, powder-coating, and fuse bonding are all new techniques used to offer chain link in a wide variety of colors, sizes, and strengths. Consequently, the new chain link fence is a more viable option for settings requiring both security and style. Identifying the purpose of your chain link fence is one of the most important steps you frequently not taken. Not understanding all of the tasks you want your chain link fence to accomplish can quickly lead to disappointment with its performance. For instance, will the fence encloser a larger pet? Will it be subject to children climbing on it or playing near it? Will it be near to significant vegetation? Will motor vehicle traffic or parking be nearby? Organized sports activities? Once these issues have been identified, it’s time to look at the four components of a chain link fence: fabric, framework, fittings and gates. Fabrics is the diamond-shaped steel wire that comproses the „field” of the fence. Framework consist of the posts and supports for the fabric. Fittings hold the fabric to the framework. Gates are the entrance and exit portals into the space enclosed by the fence. There are three critera you should use in choosing the fabric: how thick the wire is, the size of the openings in the wire, and how the wire is coated for protection. The thickness of the wire in chain link fence fabric, or gauge, is important in the fence’s strength. Thinner gauges are more often seen in commercial use. Be sure to choose a sufficient gauge of wire for the fabric, or the fence will look worn and tired well before it’s time. Choosing framework components have similar considerations we saw with the fence fabric: gauge of the support pipe, diameter of the support pipe, and coating. Diameter of the pipe should also be chosen based on how high the fence is going to be. As you might surmise, the fittings that hold the fabric to the framework should also be of sufficient gauge, and sufficiently protected, to keep the fence looking as new as possible for as long as possible. Here is also where you consider the aesthetics you want your fence to have. Finally, consider making sure your gate and gate hardware is sufficiently strong to accommodate the anticipated use. Fence gates generally come in three styles: bnt-frame gates, where the frame of the gate is one pipe that has been bent to form the gate; wlded-frame gates, where four pipes are welded at the corners and asembled gates, where four pipes are mechanically attached to each other. For more information on McIntyre Fencing visit us here, or contact us.